I’m getting there! 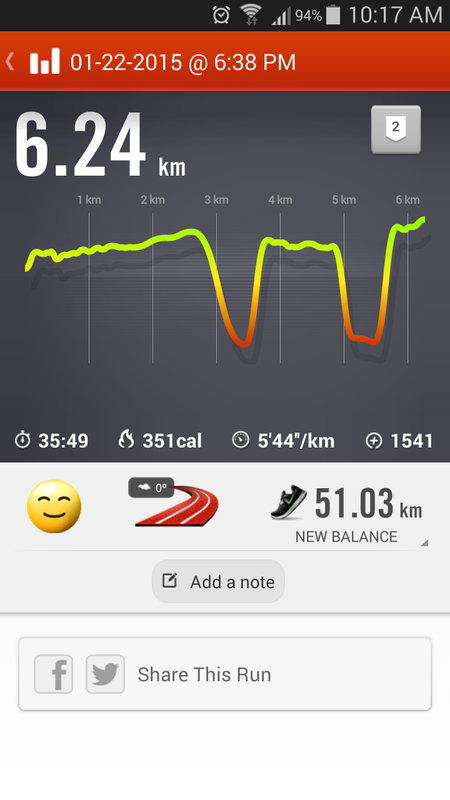 I actually ran over 6km last night! I’m finding it really useful to use my Nike+ watch and the shoe pod during my indoor runs to track my progress. There’s also a ton of great fitness and track apps out there that don’t cost anything, either! But, this is by far the longest I’ve EVER run before and it it feels GREAT. I was pretty excited to know that it was coming in the mail, but I was already halfway to Montreal for a snowshoeing outing with the Monsieur and his friends by the time the Topbox got to the house. It’s taken a little while for me to actually get myself to post about it, but here it is! I know, I actually used the terrible flash, but it’s still too dark when I get home to get nice pictures using natural light and I’m far too lazy and strapped for cash to invest in a proper lighting setup. 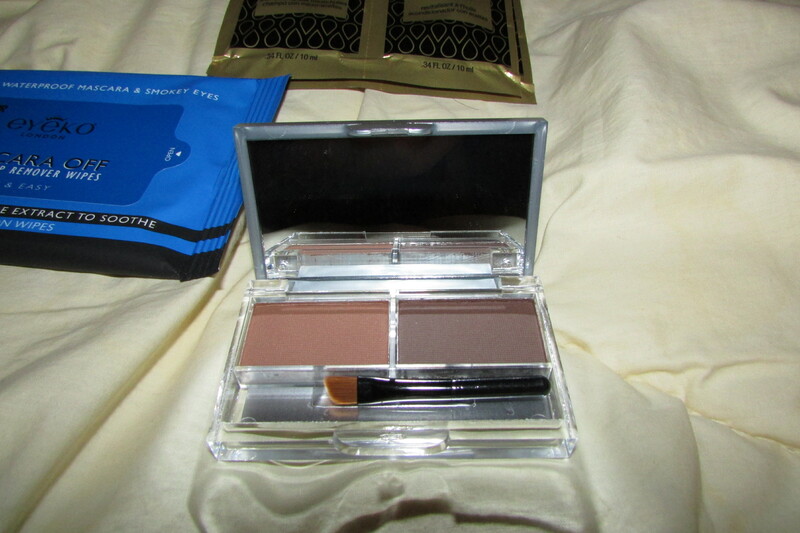 Anyway, I’m pretty happy overall with the first Topbox of 2015! Topbox is a Canadian monthly beauty box subscription that features 4 deluxe samples for $12 per month, shipped right to your door via Canada Post. Some months even include full sized products! Keep in mind that they do have a waitlist of about 2-3 months from initial sign-up before you start your subscription! I already use the Brow Zings in Dark by Benefit to shape up my brows and it’s not even halfway done yet, so I was intrigued by the So Susan version but also kind of sad because I don’t feel like I want to try a new brow product! The powder colour itself should match most brow colours, except for very light hair tones like blonde and ginger. See? It’s quite nice and the powder itself feels pretty smooth. My mom’s almost finished her own brow pencil so she’s stolen this from me. 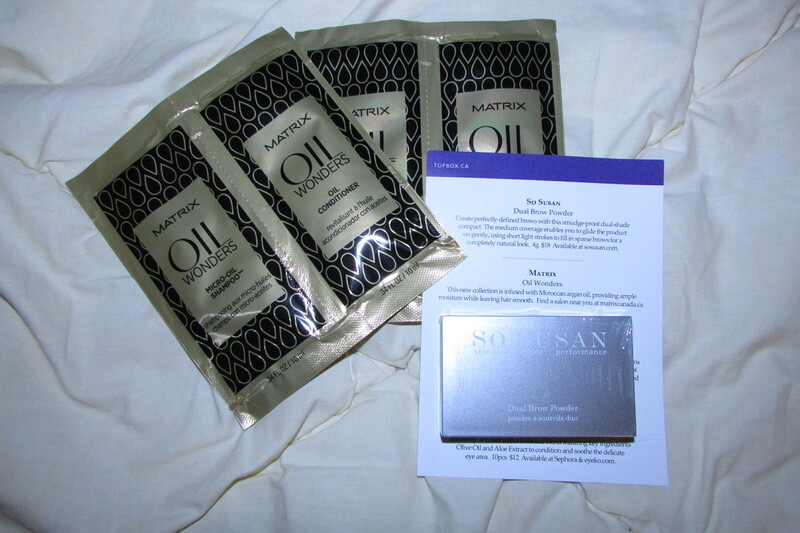 I couldn’t find a reliable price on the Matrix Oil Wonder line since it’s only sold in salons. When I got my hair cut a couple months ago, my hair stylist used a Moroccan oil-based shampoo and conditioner and my hair came out so silky and soft, even before she hit it with the hair dryer! I’m definitely going to be trying these out tonight! Elizabeth Arden doesn’t say that it’s an anti-aging cream. But, the description on the website says that it’s supposed to help “intercept the first signs of aging.” Um. Okay. Sure. Anyway, I do like that it’s absorbed really quickly and how smooth and light it feels. Am I going to be using this? Probably not, but I do appreciate the SPF protection. 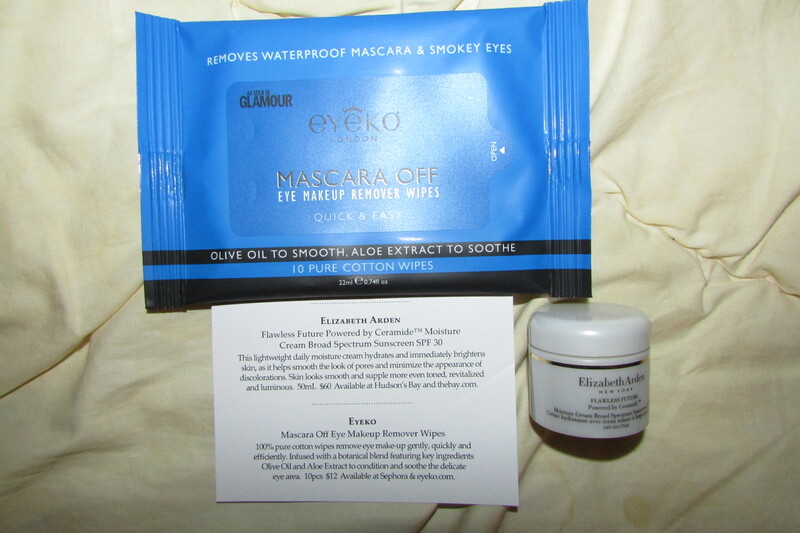 I was so excited to see Eyeko again in my box! This brand makes some truly amazing cosmetics! I’m going away again this weekend with the Monsieur, so I’m definitely going to be taking this pack with me. I haven’t tried them yet, but I’ve heard really great things about it and I’m really curious to see how they compare to Benefit’s They’re Real Remover! 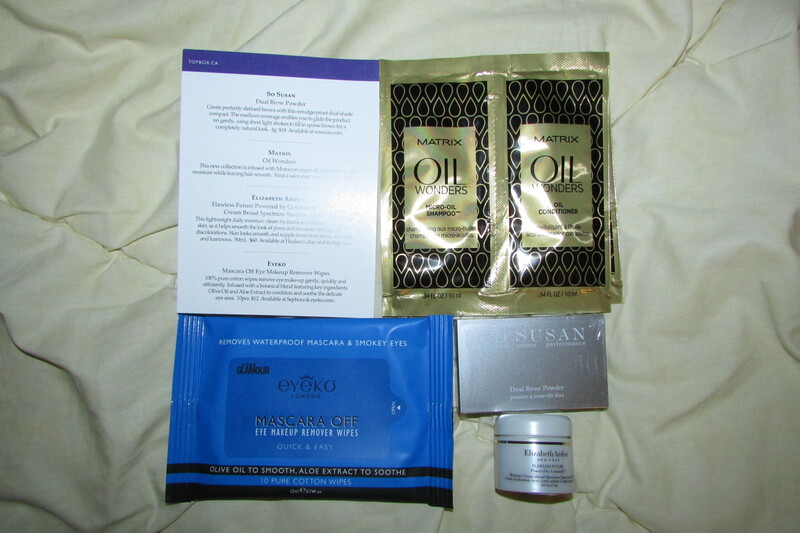 Verdict: 4.5/5 – Nothing truly jumped out at me, but January’s Topbox was really well balanced and I can confidently say that all of the samples are going to be used! What was in your Topbox? Apparently, risotto is a romantic dish. There’s no occasion. I don’t need an occasion to make and eat a damn good risotto and it was actually a lot cheaper than you might think. 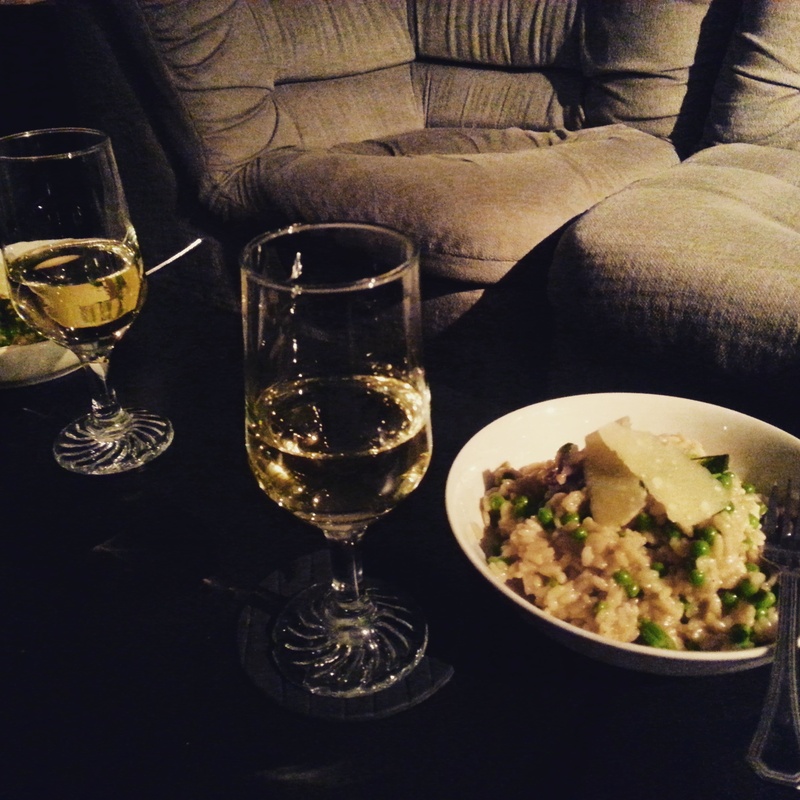 Of course, I sort of made it a fancier occasion by picking out a nice local Chardonnay by Vintage Ink and plated the risotto pretty nicely. It’s nice to be classy sometimes, yaknow? Since I only needed fractions of some ingredients, the actual cost is probably closer to $30 with the wine included. You could easily get an $11 bottle of wine and it would work just the same, but I like to drink and cook at the same time, so there you go. 0. Warm chicken stock until almost boiling. Add vegetable scraps from prep into broth for extra flavour. 1. Heat olive oil in a large pan (at least 12″ wide and 2″ deep) on MED-HIGH heat. Fry prosciutto until crispy and set aside. 2. Saute onion until fragrant and barely translucent. Reduce heat to MEDIUM-LOW. 4. Slowly add in white wine and stir rice until the wine has been fully absorbed. It may still smell a bit sharp due to the alcohol. 5. When there’s almost no liquid left, ladle in 1/2 cup chicken stock and stir rice while the stock is absorbed by the rice. 6. Repeat, stirring occasionally until the rice is al dente, about 25 minutes. It’s easiest to stir the rice and let it sit for a moment to gauge how fast the liquid is absorbed. As the rice gets cooked, it absorbs the broth more slowly. 7. Once it barely gets absorbed after stirring in a bit of broth, taste the rice to check its doneness. If it’s still a little stiff or starchy for your liking, add in another ladle of stock and stir until you’re satisfied. 8. Stir in 60g of parmigiano reggiano until fully melted. Stir in thawed peas, prosciutto and green onions and turn off the heat. Season to taste. 9. Serve garnished with freshly cracked black pepper and sliced green onions. I didn’t know that the Monsieur wanted to watch and learn how to make risotto, so I had already started by the time he got back! Oops! I guess that means I’ll have to make this delicious, creamy risotto again. What horrors. I’m usually pretty careful when I’m training, especially for parkour. I mean, it’s a dangerous sport in the first place, so it’s incredibly important to keep practicing techniques and motions until you can’t get it wrong. But, just like any other sport, accidents happen! Like this! That would be my lower right ribs after practicing a precision bar swing and losing a bit of balance, making me smash my ribs into the corner ledge of the MV’s F-block! Luckily, it’s just a bruise and nothing fractured, but I was down for a good few minutes since it was the 7th rib and it’s a weak spot on the human body. 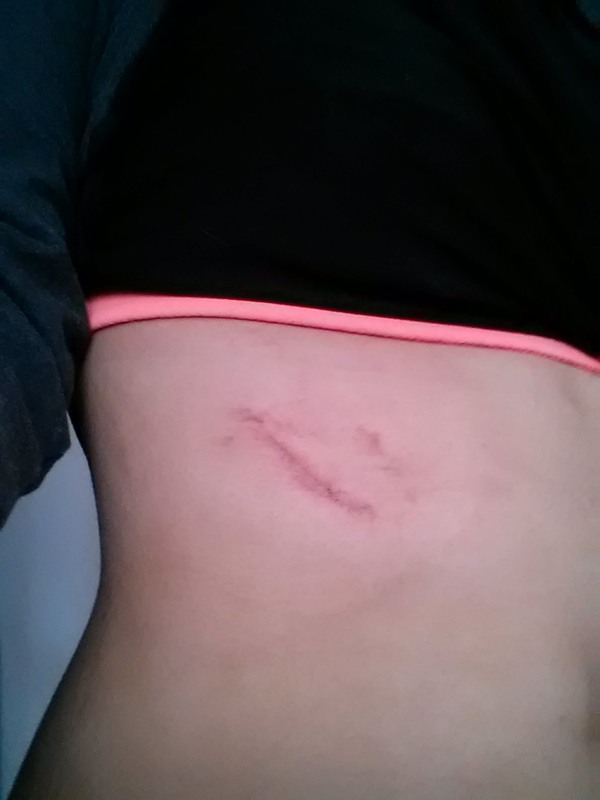 Even with this injury, I’m probably going to keep doing some light running this week or get into the indoor track. Rest is for the weak!! You’ve probably had this issue before… You have a nice mascara that you really like and it suddenly starts to clump and doesn’t QUITE go on as well as it used to. 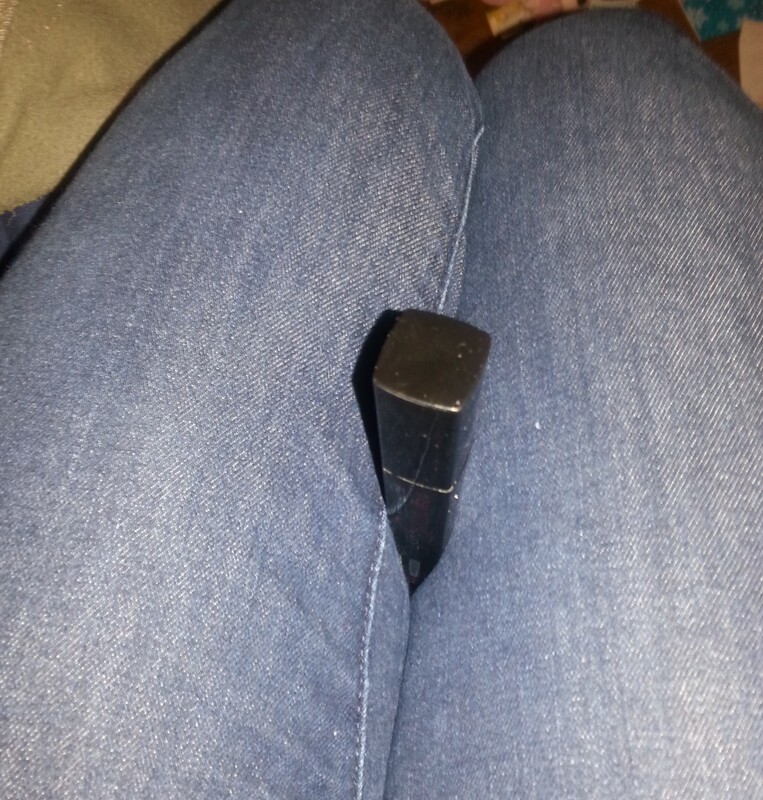 Stick the tube right between my legs! Ha! I haven’t baked in a while and, in my slight delirium while being sick with a nasty cold, I decided that I would bake a cake! I’m not the greatest baker by any means and this has nothing to do with New Year’s Resolutions, but I can at least follow directions pretty easily, so it can come out pretty good. 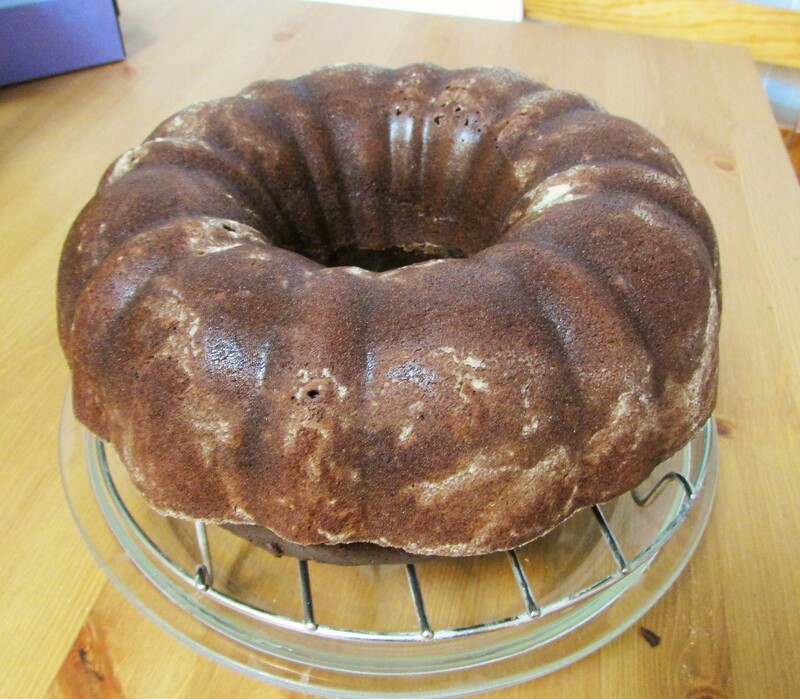 I wanted to make something with the Kraken Spiced Black Rum that I have, so I went to search for a rummy coffee cake recipe! In a bowl whisk or sift together flour, baking soda, and salt. Pour chocolate mixture into a large mixing bowl bowl. With an electric mixer, beat in flour, 1/2 cup at a time, scraping down side, and beat in eggs and vanilla until batter is combined well. Pour batter into prepared pan. Bake cake in middle of oven for 1 hour 45 minutes or until the tester (toothpick or otherwise) comes out clean. Let cake cool completely in pan on a rack and turn it out onto rack. Cake may be made 3 days in advance and kept wrapped well and chilled. The spiced component of the hot chocolate really gives it an unexpected kick! This would go deliciously with some vanilla ice cream. If you want to try it but you don’t have spiced hot chocolate mix, I’d recommend adding in about 1/2 tsp of cayenne pepper powder and a pinch of ground cinnamon or ground clove into the hot chocolate part to spice it up. Happy New Year! It’s a brand new year and there’s a lot of opportunities to look forward to! I can’t really relate to most resolutions because I’ve found that most resolutions are too vague to really commit to. The most common resolutions are usually something vague like, “Lose Weight” or “Quit Smoking” or “Get Fit.” How can you commit to a goal when there’s no solid plan or direction to achieve that goal? That’s why I’m posting my resolutions here with a (rough) outline of what I’ll do to achieve it! I’ve already been working on this one since September when I walked the Oasis Zoo 5K, so I’m well on the way to achieve that! I’m currently at running 2.5km non-stop but I go as far as 5km without completely dying. I’m planning on registering for the Oasis Zoo 5K Run 2015 very soon, so I won’t really be able to fail this without losing a bunch of money. Of course, I’ll have to change my eating habits to be a little more energy-dense and long-lasting for the run, so there’s the whole “healthy eating” spin on that resolution, too! I have so many lipsticks that I don’t know what to do with them! It’s going to be a really hard exercise in self-control to use only one lipstick for stretches at a time, but I’ll do my best to do it! Most likely, I’ll be sticking with my Tarte Amazonian Butter Lipstick or the relatively new Kat Von D Studded Kiss lipstick in Adora that I picked up in early December, I think. Adora’s a lovely metallic golden red, so both can be used in a lot of situations! Yeah, I’ve had French classes up to Grade 10 in high school, but it’s not like I remember anything and I can’t conjugate a sentence if my life depended on it. I’m being surrounded by French at work and with the Monsieur, so I figure that it’s a sign that I should pick up the language! We’re doing really well (in my opinion, at least), so it’s not a huge challenge, but it’s definitely one that needs a lot of work and open communication from both of us. The communication part of this resolution is something that I know I need to work on in general, too! This last one’s kind of vague, but it’s not like I want to break up with him in general, so it’s more of an ongoing thing. That’s all the “resolutions” I have for 2015. Many of these resolutions need a lot of mental preparation, psychological and spirital change, and, most importantly, a willingness to embrace that change. I hope you all have a great new year and that 2015 will be a good one!